Contapharm Laboratories was founded by two pharmacists Patrice and Danielle Soyer. They noticed that there were no cosmetics specifically adapted for wearers of contact lenses. This is how they pioneered the development of makeup products targeted for contact lens wearers. The cosmetics range includes eye creams for the treatment of puffy eyes, dark circle control as well as anti-wrinkle. From the makeup range, mascara, eye pencil liner as well as eye liner. Eye Care Contapharm products are free from fragrance, alcohol or colourants. With a pH level adapted to that of the eye area. The makeup products are also paraben free. 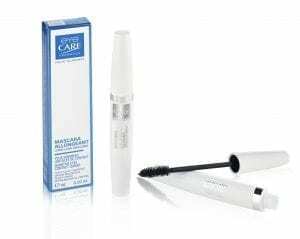 Volumising Mascara enriched in Silicium . Sensitive Eyes. Contact Lenses. Tested under Ophthalmological control. 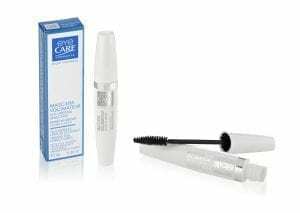 Mascara formulated to lengthen lashes and build volume while respeccting sensitive eyes and contact lens wearers. Soft Comfortable formula. 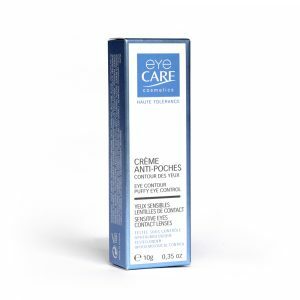 Eye cream specifically formulated for contact lens wearers.